How Much Will Australia's Solar Subsidy Reduce By In 2019? 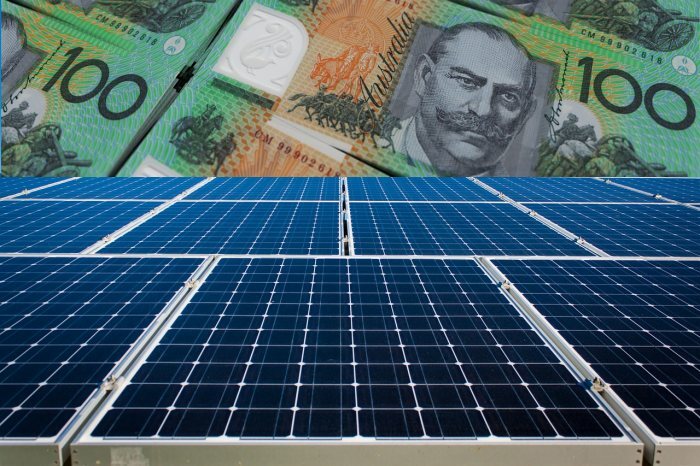 Home > General Solar & Storage News > How Much Will Australia’s Solar Subsidy Reduce By In 2019? How Much Will Australia’s Solar Subsidy Reduce By In 2019? ‘Tis the season for solar subsidy scare tactics. It’s that time of the year again when some solar retailers are starting to scream that the solar rebate/subsidy/incentive will reduce next year, hoping to turn more browsers into buyers. Just to briefly recap, Australia’s national solar subsidy (aka the solar rebate and not to be confused with feed in tariffs) is based on small-scale technology certificates (STCs), which have a value that fluctuates with market conditions. The number of certificates a solar power system is eligible for depends on its size and where in Australia it is installed. The value of the certificates that will accompany a system is usually traded for a point-of-sale discount, so technically it’s not a rebate. When the subsidy was at full strength, one STC was issued for every estimated 1,000 kilowatt-hours of electricity a solar power system would generate over period of 15 years – this is called the deeming period. However, the subsidy started being phased out from the 1st of January 2017 by reducing the deeming period by one year, each year. For solar power systems installed this year, the deeming period is 13 years, in 2019 it will be 12 years, and so on. This reduction will continue until December 31, 2030, after which the deeming period will be zero and the subsidy will be kaput. Just as an example, a 6kW solar system installed in Brisbane up until December 31 this year is eligible for 107 STCs. At a current market value of around $35 per STC, that works out to a $3,745 subsidy – a significant chunk of change that greatly reduces the up-front cost of going solar1. If the same system was installed in January 2019, it would be eligible for 99 STCs – so, a $3,465 subsidy assuming an STC value of $35 each2. That’s a difference of $280, and it will be less for smaller systems. $280 is certainly better off in your pocket, but it’s not a sky-is-falling situation or one that should be encouraging Australians to rush a purchase decision. After all, it’s a decision buyers will living with for a long time. From a financial viewpoint, a poor quality and/or poorly installed solar power system won’t achieve the same level of savings provided by a good quality, well-installed one. This will add up to far more than $280 in losses over the system’s life – and in the case of a poor quality system, it may be a comparatively short one. The other risk is rushing into the purchase of what turns out to be a good quality system, but is overpriced. Also bear in mind the cost of components such as solar panels and solar inverters has been decreasing and with the end of the year not that far off, some solar companies may already be factoring in the deeming period reduction in quotes if installations may not occur until January 2019. While the buyer receives the subsidy discount at the point of sale, STCs aren’t issued until after the system is installed. It appears a premature axing of the subsidy altogether is off the table (for now), but one other wildcard is STC value, which as mentioned fluctuates with market conditions. The maximum value an STC can reach is $40 and the minimum, $0. In 2017, the value of STCs plummeted to well below $30 for a while, pushing up solar prices and taking some installers by surprise. Again, the potential of something like that reoccurring shouldn’t force a hasty purchase decision. It’s always a good time to go solar and the longer you put it off, the longer you’re locking yourself into high electricity bills. But it’s important to do your research first and a good place to start is with our Solar 101 Beginner’s Guide and installer reviews. The guide doesn’t take long to read and could save you headaches, disappointment and bucks down the track. I’ve recently had a solar system installed. How do I claim the solar rebate? Hi Just wondering if the following is a good price or can I get better quality at the same price (if so who do you recommend). Also is the rebate offered reducing month on month over 2019? Enter your postcode in the space at the top right and answer the questions that come up as best you can. If you have the space on your roof you may want to consider a larger system.